Venables supply Douglas Fir beams as an alternative option to European Oak. 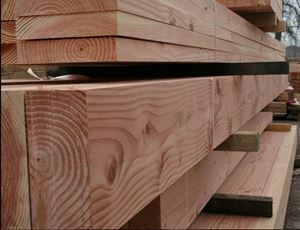 Our Douglas Fir beams are widely used by self builders and timber framed building specialists. The beams are supplied fresh sawn, can be graded to C24 softwood grade and can also be supplied rough sawn or planed all round. Please note timber may be supplied overlength to be end trimmed on site. Venables supply Douglas Fir beams as an alternative option to European Oak. 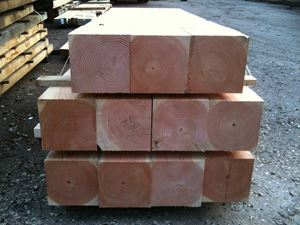 Our Douglas Fir beams are used by self builders and timber framed building specialists. The beams are supplied fresh sawn. The current lead time is approx 10 working days. These larch beams are supplied fresh sawn, can be graded to C24 softwood grade and can also be supplied rough sawn or planed all round. Once you have entered your dimensions simply click on the next box to retrieve your price. The current lead time is approx 10 working days. Venables supply Douglas Fir beams as an alternative option to European Oak. 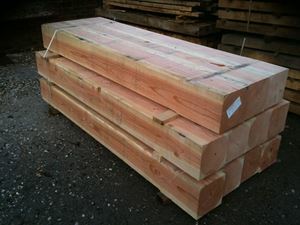 Our Douglas Fir beams are used by self builders and timber framed building specialists.